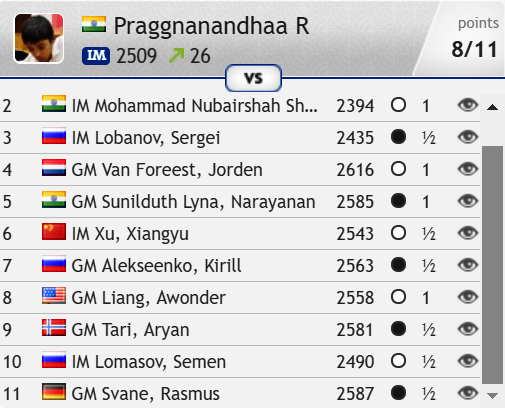 India’s Praggnanandhaa has become the second youngest grandmaster in chess history after gaining his final grandmaster norm in a tournament in Ortisei, Italy. 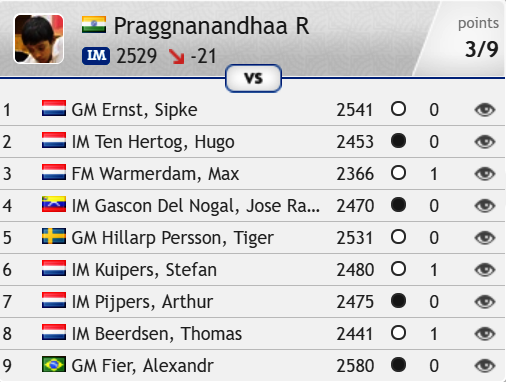 Only Sergey Karjakin became a grandmaster at a younger age, 12 years and 7 months, but at 12 years, 10 months and 13 days, Praggnanandhaa is the only other player to earn the title before his 13th birthday. Magnus Carlsen, for instance, required another six months. Instead he finished half a point behind the winner, but he did get his first of the three Grandmaster norms required to earn the title the hard way. Will he ever make it? Getting not a single draw perhaps suggested his coach wanted him to play with more freedom and try and forget about the grandmaster title, and if that didn’t work out in the Netherlands it worked to perfection just afterwards in Italy! 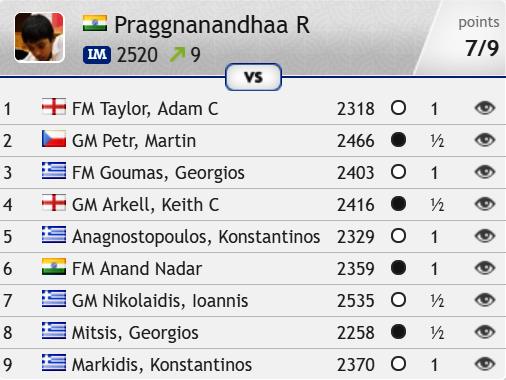 A crushing win over local star Luca Moroni in Round 8 of the 4th ad Gredine Open was enough to complete a final grandmaster norm and give Praggnanandhaa the title whatever happened in the final round. Just to put the icing on the cake, though, he beat another grandmaster to complete a perfect tournament on a tie for 1st place. As you can see, he’s in great company, though of course speed isn’t everything. The likes of Parimarjan Negi and Bu Xiangzhi didn’t go on to reach the very top, and a player like Fabiano Caruana “only” gained the title at the age of 14 years, 11 months and 20 days. 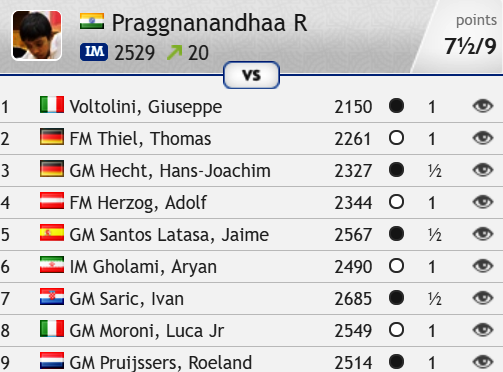 What ultimately matters is a player’s rating ceiling, but Praggnanandhaa’s achievements will rightfully earn him a lot of chances to prove himself on the top stage. It’s going to be an exciting time to be an Indian chess fan – and in fact just to be a chess fan at all! Which of the young generation will barge their way to the very top?